The Bijagos islands, off the coast of the small, vulnerable country of Guinea Bissau, have become a modern day pirate's cove. Seeking to expand their markets into Europe, Latin American drug gangs are establishing outposts along the West Africa coast to serve as depots and transit points. 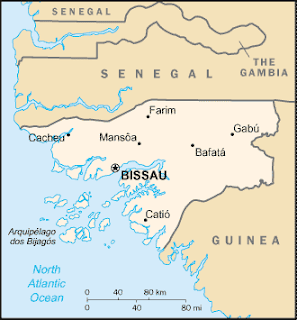 These islands are remote and lightly guarded, even by Guinea Bissau standards. There are over 90 islands scattered in the archipelago, many uninhabited. Wikipedia was the source of the above map.